Daniel William Cuozzo, DO, FAAD, a dermatologist, has joined the Beebe Medical Staff and is seeing patients at Beebe Dermatology Health Center, 32060 Long Neck Road, Millsboro. Dr. Cuozzo is a member of the Beebe Physician Network, a not-for-profit, multi-specialty medical group affiliated to Beebe Medical Center. He is Board certified in dermatology. He can be reached at (302) 947-2346. Previously, Dr. Cuozzo was an attending dermatologist at Bassett Healthcare Network in Cooperstown, New York, where he practiced general medical and surgical dermatology and developed their Mohs Surgery Program. He also trained and supervised physician assistants, and also taught medical students. Dr. Cuozzo was in the U.S. Army Medical Corps for nine years, serving in several capacities including as a flight/brigade surgeon, company commander in Desert Storm, and Chief, of Dermatology at Fort Bragg, NC. He was honored with several awards, including the Bronze Star Medal, the Meritorious Service Medal and the Combat Medical Badge. Dr. Cuozzo earned his medical degree at the University of Osteopathic Medicine and Health Science in Des Moines, Iowa and completed his residency in dermatology at Walter Reed Army Medical Center in Washington, DC. 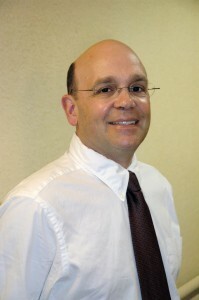 Dr. Cuozzo is one of more than 200 physicians affiliated with Beebe Medical Center. They represent nearly 30 different specialties. New residents are encouraged to establish a local primary care physician as soon as possible to promote continuity of their healthcare in both preventive and emergency situations. Beebe Medical Center makes information about physicians affiliated with the hospital available on its website, www.beebemed.org, or by calling Beebe’s Physician Referral Line at (302) 645-3332.